Queen Elizabeth 1 gave Knole House in Kent to her Lord High Treasurer Thomas Sackville. It passed down through succeeding generations by way of Thomas’ fruitful union with Cecilie Baker of Sissinghurst Castle nearby. Elizabeth 1 came to visit and spent three days at Sissinghurst Castle in 1573 on one of her summer progresses, affording it and its occupants a great moment of glory, as well as earning a title for its incumbent Sir Richard Baker. The site on which it sits is ancient, in the Weald of Kent, the Weald being a vast forest that once covered this area. The name is Old English in origin, signifying woodland. During the Middle Ages a manor house of local importance was built on the site. It had a moat for defence and was owned by a family called De Saxingherstes, whose line eventually came to an end. It was in 1490 that Thomas Baker purchased Sissinghurst Castle and it would be his son Sir Richard Baker who enlarged it during the 1560’s, prior to Elizabeth 1’s visit. The Baker family ceased to be there after the end of the seventeenth century with only four daughters left it had to be sold as women were unable to inherit. Sold to Sir Horace Mann a diplomat and long standing British resident of Florence, surely its most inglorious moment was when he leased it to the government and it became a stronghold to retain naked, unwashed French prisoners of war during the Seven Year’s War with France (1756 – 1763). At that time everyone, including the authorities, vandalized it. Then its long history seemed like it had finally ended in 1903 when it was sold off as a farm that once again became derelict until fate stepped in and lent a hand. 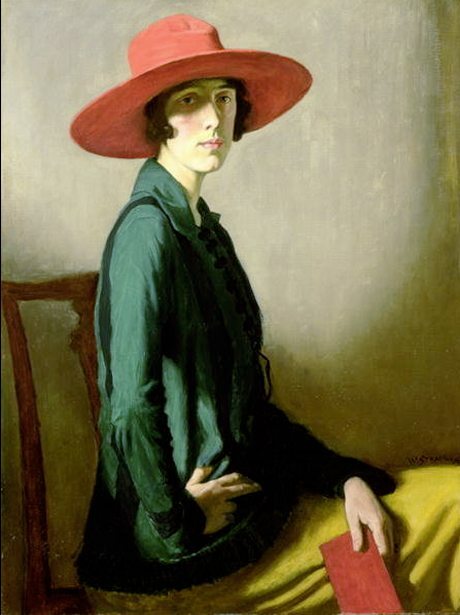 Unable to inherit her Sackville family home, Knole in Kent, because she was also a woman, poet, novelist, and biographer Vita Sackville West (1892 – 1962) was very dispirited after she handed it over to the National Trust. 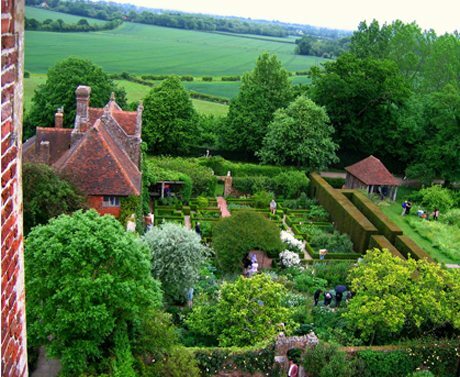 A friend introduced her to Sissinghurst Castle, because it was up for sale and nearby to Knole House. Vita fell in love with what was basically a ramshackle collection of picturesque ruins and then discovered incredibly, that she was a direct descendant of Cecilie Baker who had owned it. 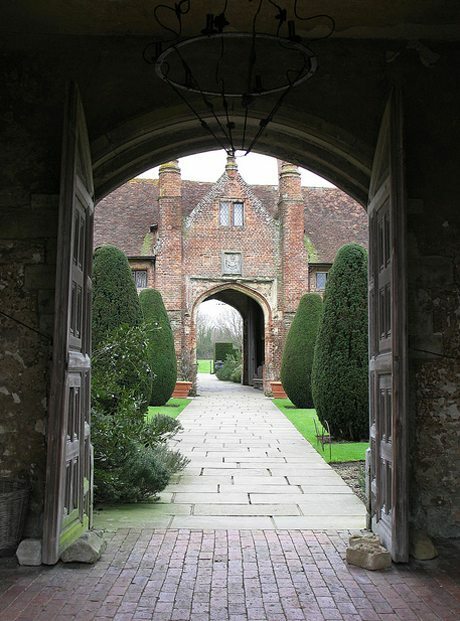 So Sissinghurst Castle now became paramount to her moving forward and getting on with her life, as it was as near as she would ever get to coming home. Together Vita and Harold Nicolson her husband completely transformed the grounds with gardens that suited the layout of the ruined remains and the topography and natural proclivities of the countryside itself. 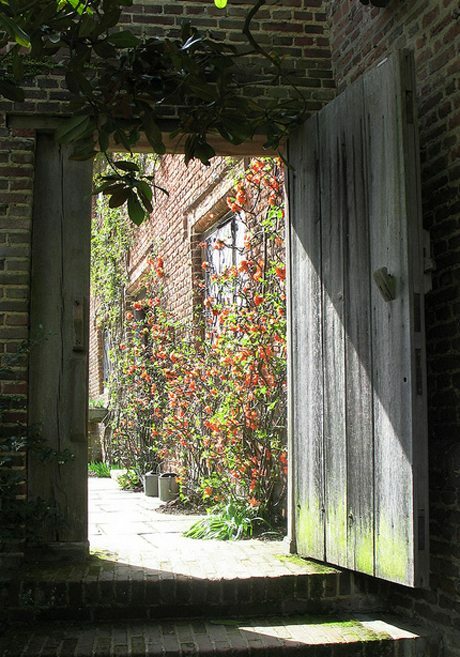 The Sissinghurst Castle Garden opened first to the public in 1938, so that Vita Sackville West and her husband would be able to share their joy. Vita said of her great Legacy, ‘it may, I think, fairly be claimed that the spirit of the place is very strong at Sissinghurst’. The thousands of visitors who visit nearly always say one of two things about it seem to prove this. One waits for the remark and is seldom disappointed said Harold. One informed visitor said that it reminded him of the manor houses of Normandy in France and having been on a visit, I have to concur. “The more distinctive visitor however exclaims” said Harold, “that it that is just like the imagined castle of Sleeping Beauty”. Surely there is truth in both. Her husband Harold purchased it for them both in 1930 as a near ruin set amongst wasteland and then they set out to transform it into a place where the would be nurtured by the ancient ruins, whose past had seen so much of the families heritage, and the beauty of the garden they would establish. Vita and Harold re-opened the entrance archway when they arrived, because it was no longer needed to be blocked as it had when it was a prison. However they made few changes to the remaining buildings, other than carrying out some careful restoration. The house today resembles a small village in its appearance because its surviving buildings lie apart from one another. 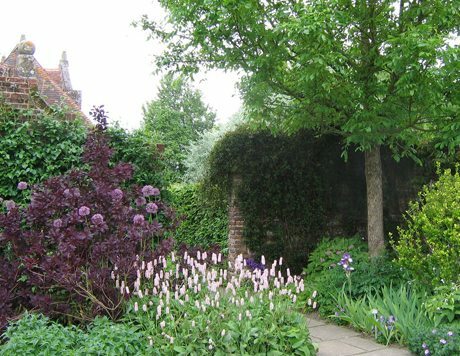 Spread among them is a now well-known seminal garden, because its influence on the development of both design and plantsmanship worldwide has been very influential. 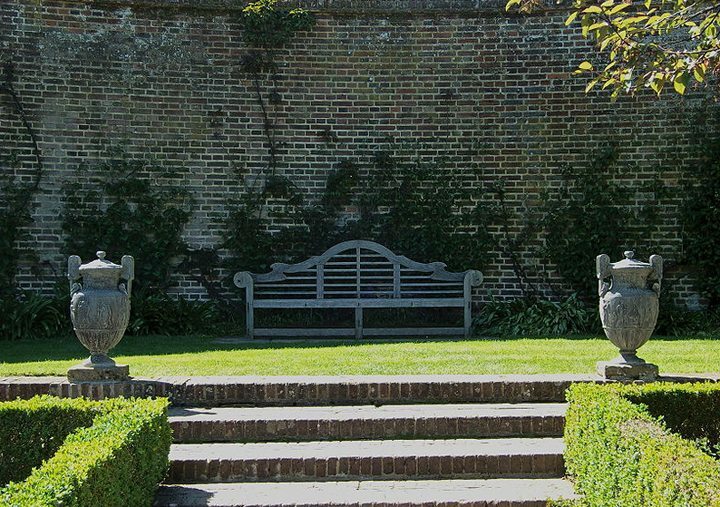 At Sissinghurst the garden became a labour of love for two people, Harold Nicolson who designed it and his wife Vita, who planted it. 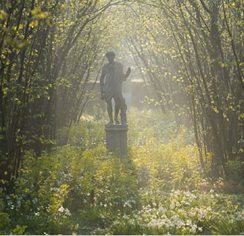 Some imply that it is no longer what it was in Vita’s day, implying that it has lost something of its serenity and betrayed her genius noted Nigel Nicolson her son, writing from his private home within Sissinghurst in 1990. He said that ‘no garden is or, should ever be, what it was, since it is a living, growing, changing thing, and it would be foolish, unimaginative and actually treacherous to Vita’s own conception of a garden to replace every plant that dies or every tree that topples over by the same plant or same tree’. 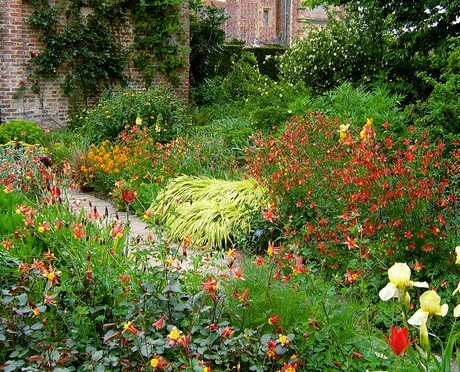 Later in life they would both be content in the knowledge that they succeeded in creating at Sissinghurst Castle probably the most famous set of gardens in England. 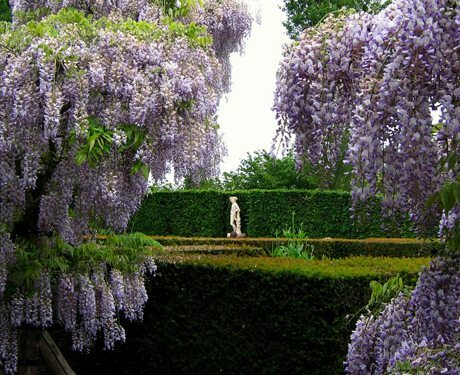 What he has endeavoured to achieve is retaining the spirit of the garden faithful to the date of his parents time and its origins, the mid 20th century, for it is now an historical document. 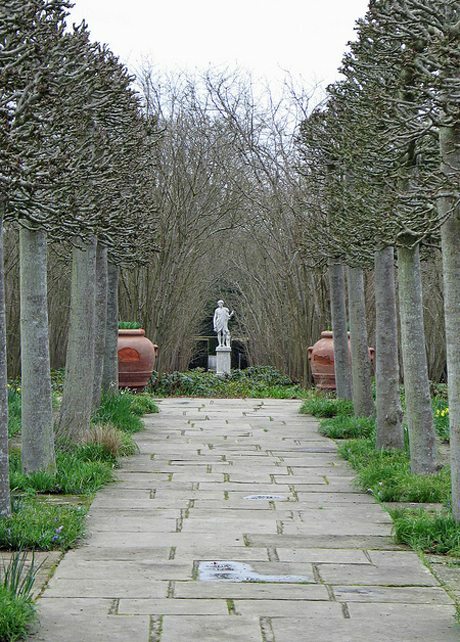 He and his elder brother gave Sissinghurst to the Treasury in lieu of death duties on the understanding that it would be placed into the care of the National Trust, preserving its great heritage for Vita and the nation for all time. 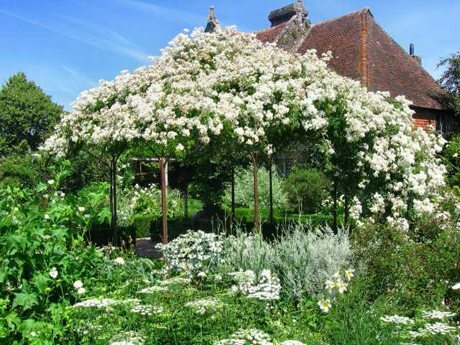 From the very beginning the husband and wife gardening team of Harold and Vita intended that the garden at Sissinghurst in Kent should be filled with roses. 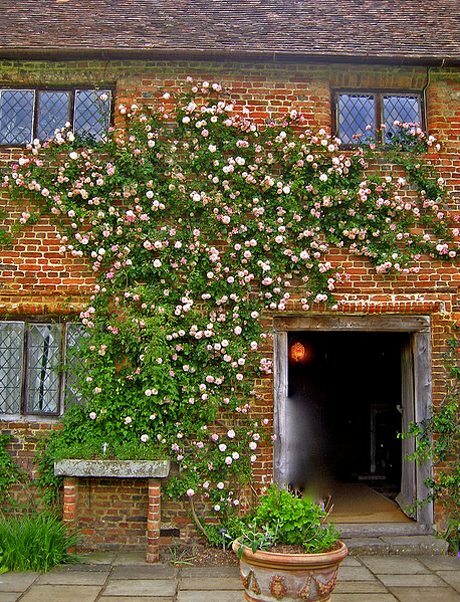 They genuinely believed that old-fashioned shrub roses gave them far more in return for a given amount of labour and expense and they enjoyed their profusion, generosity of spirit of a plant that gave of flowers with great gusto. They especially loved their untidy, lavish performance with walls to frame their exuberance. A rose between two thorns is likened to a gentle person between two plain, evil or ill-tempered ones. And, a rose by any other name Romeo’s other half Juliet would tell us, would smell as sweet. The view from the tower roof across the present rose garden reveals the yew hedging. The old wall between the tower lawn and rose garden is part of the south range of the old Tudor house. As a Tudor garden it would have been used for growing salads, fruit and vegetables and herbs for the household. The Herb garden at Sissinghurst has over one hundred varieties of herbs, familiar and strange, and they need to be carefully tended throughout the summer to maintain their rich contrasts of colour and textures in leaves and flowers including clumps of lavender, cotton, hyssop and pot marigold. Tall clumps of fennel and Apothecary’s rose are often seen with through a break in the hedge, small thyme lawns in flower. The garden provides a place of rest and contemplation between perambulations of the park like areas of the vast garden. 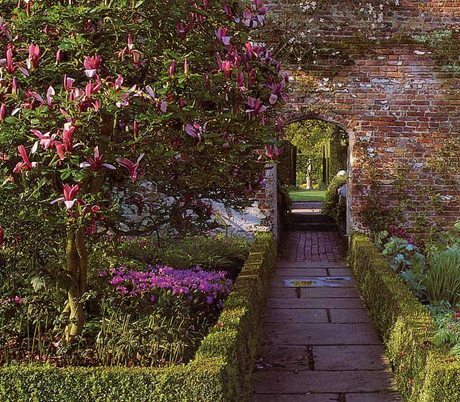 The path from the tower lawn through to the Roundel garden has a high level flowering combination of Magnolia liliflora Nigra, carmine wallflowers spray out from the wall, together with one of Sissinghurst reputedly some eighty five varieties of clematis. Below the magnolia are hybrids of Primula sieboldii. ‘It is just this combination of flowers and an exquisite vista that makes this garden such an inspiration. The right balance of expectation and surprise’ Harold used to explain. Vita it appears was not even remotely interested in cooking; although she loved her garden vegetables made into gourmet dishes and cooked with herbs by others. She just had no wish or talent for doing it and grew herbs for their looks, lore and aroma. 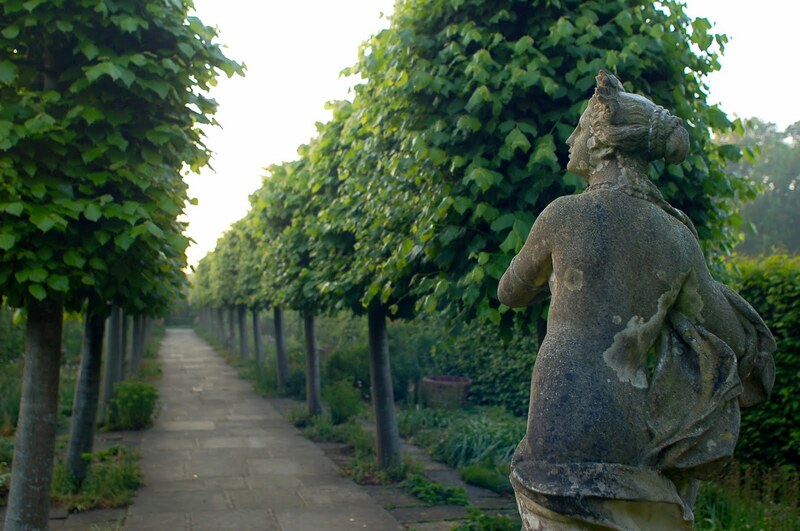 The nuttery and lime walk represent the old and the new at Sissinghurst… the copse of hazel trees, the best planting the Nicolson’s inherited and its discovery clinched their decision to buy Sissinghurst. The south cottage as seen from the lime walk in autumn is a lovely complex arrangement of the many and varied colours in the gardens at Sissinghurst, predominantly white, bronze, ochre and gold. The White Garden was enclosed and divided classically on crossing points. The whole rectangle was divided into four with a central square, and then each half was again divided. A wide border of lavender was planted south to north through the whole garden with an avenue of Almond trees. When it is out the Rossa Mulliganii in full flower is a sight to behold. Beyond the Rosa Mulliganii bower are larger beds of silver and grey carpeting plants mixed with white lilies. 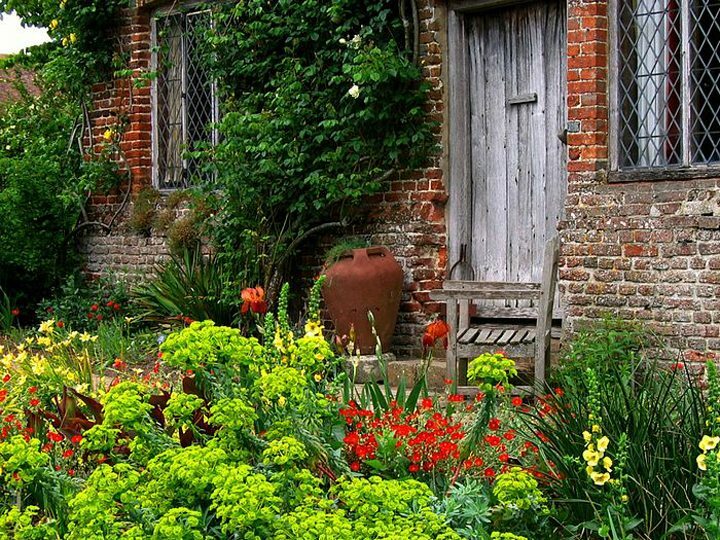 Cottage gardening is defined as a small space simply bursting with flowers. No cottage gardener would refuse a flower because of its colour. 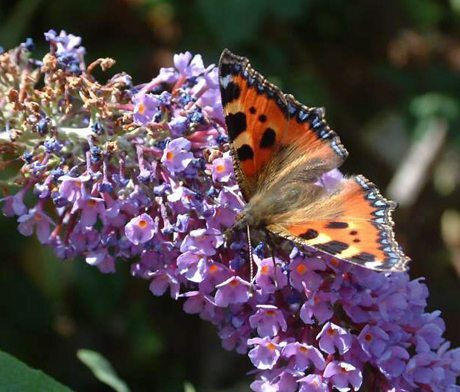 It is that carefree lavish mixture of colour and texture that is at the very heart and essence of a cottage garden. The Irish Victorian garden critic William Robinson was a great exponent of the cottage garden and Vera admired his work. She visited him at his home Gravetye Manor, near the end of his long life. 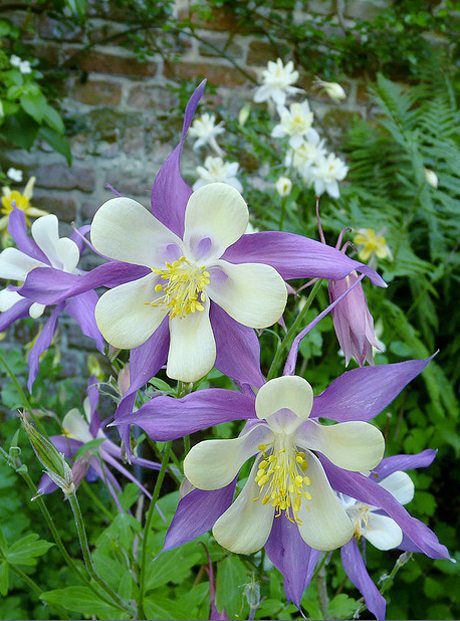 He mixed borders of native and exotic plants and loved bulbs massed among grass. In his English Flower Garden and Wild Garden he wrote ‘what is the secret of the cottage garden’s charms. Cottage gardeners are good to their plots and in the course of years they make them fertile. The shelter too, of the little house and hedge favours the flowers. But there is something more. It is the absence of any pretentious pattern, which lets the flowers tell their story to the heart. The walks are only what are needed, and so we see only the earth and its blossoms. He advocated borders of hardy plants augmented with other types of plants, sowing wood forget me not and Iceland poppy between rhizomes of German irises to ‘furnish the border’. A cottage garden has a simple layout with a focal point, which are basically quartered beds centered on a crossing. The paths are usually laid in a crazy pattern of found fragments of stone and bricks, above all functional. The Purple border at Sissinghurst resembles a richly coloured tapestry and represents Vita’s independence of what she saw as the restraints that gardeners such as Gertrude Jekyll had worked under, particularly in terms of colour for her herbaceous border. Purples, Crimsons and blood reds and claret colours are all ranged together in a sundrenched border that is reminiscent of a Renaissance painting, a collection of flowers bringing a fiery glow to cool temperate England. It is panoply of wallflowers, tulips, pansies, columbines, star flowers and Iris at Sissinghurst. 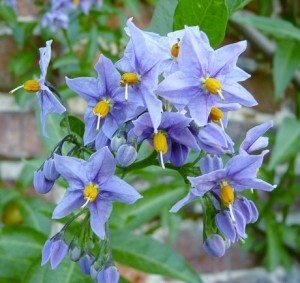 There are hardy geraniums, columbines, Campanula glomerata and dark purple delphiniums, bergamot, clematis, penstemons and dahlias with Michaelmas daisies, fuschias and, as a crowning glory, the scarlet heps of Rosa moyessi against the varying Burgundies of vine leaves on the wall. 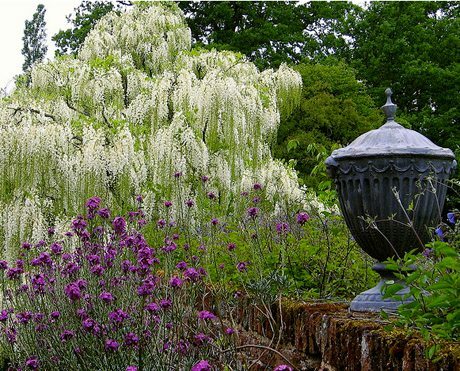 The white and purple wisteria have grown to maturity and put on a wonderous display. At Sissinghurst today the Elizabethan gatehouse tower of brick with mullioned windows it is an age old symbol of home and the continuity of the English tradition in gardens. A tower is surely the most romantic of all buildings and essential to any Sleeping Beauty’s castle. 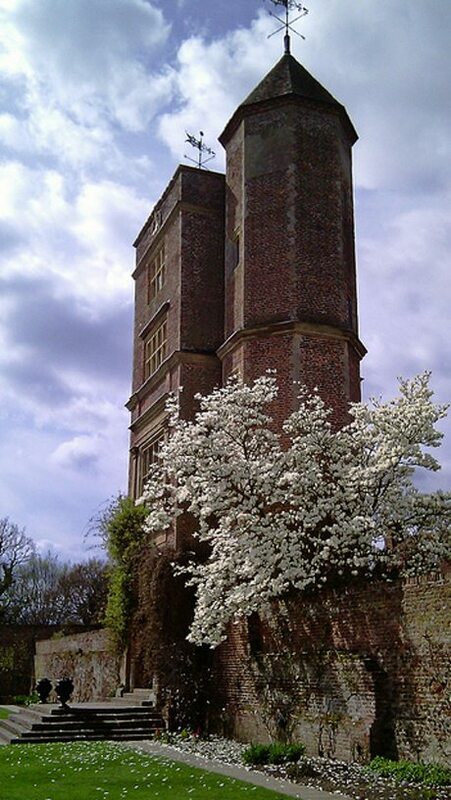 Since Vita and Harold’s time their dream home and garden Sissinghurst tower has become the romantic symbol of what is an incredible garden, one whose story is still being written as descendants of Vita and Harold work with the National Trust to keep their family legacy moving forever forward. 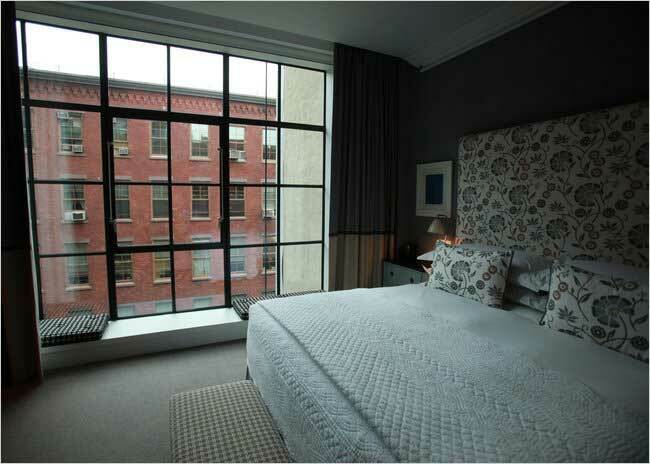 The design origins of casement windows are based in European classical architecture and usually had detailed curved stone headers, deep overhanging classical cornices and, the French essential, projecting attic rooms.